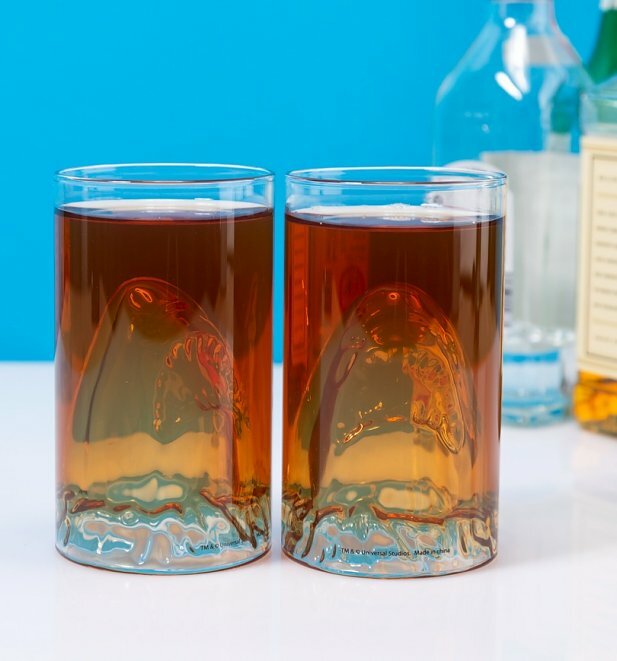 Fans of the classic 70s movie ought to SNAP these Jaws glasses up sharpish! 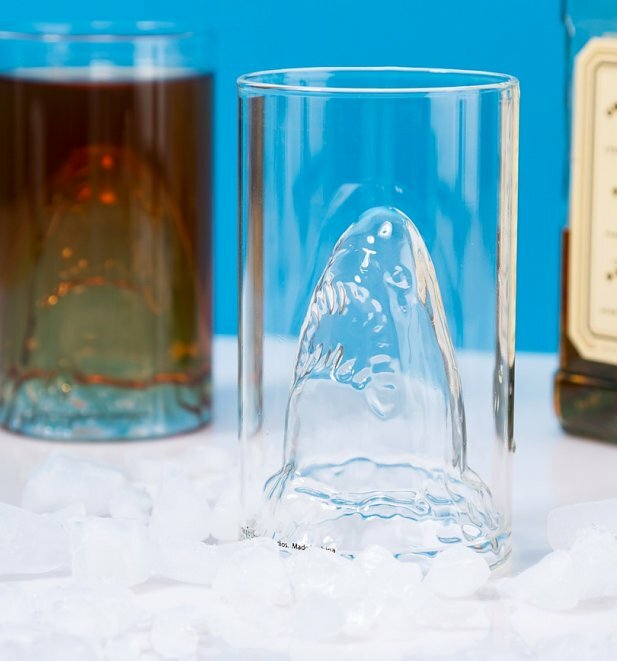 Featuring a sculptured shark head inside each glass, they feel like a true collectors item. 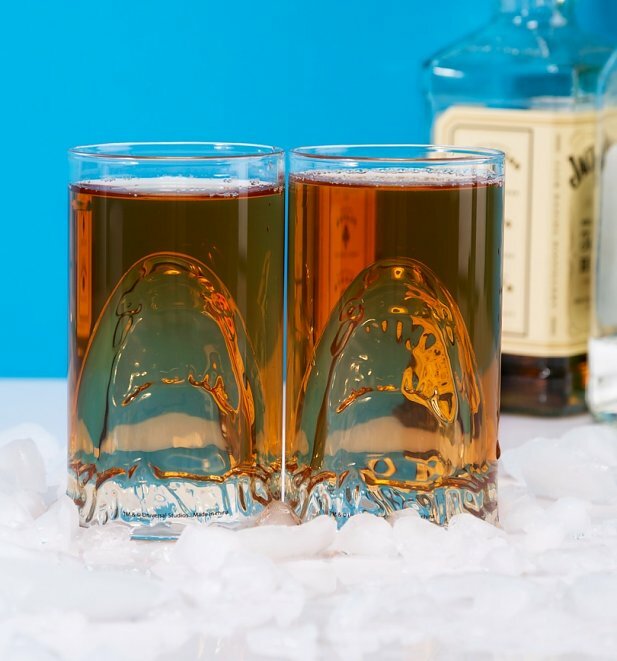 - Each glass measures 13cm height; 7.5cm diameter approx.